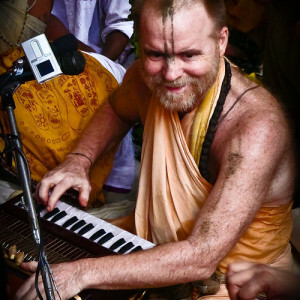 Kirtan Premi comes from a generation of Kirtaniyas. His grand father from his mother’s side was one of the first Kirtan leaders in Mayapur Chandradoya Mandir. His grandfather from his father’s side was a Maharashtrian Bhakti singer. He received a lot of association of beautiful kirtaniyas who were professionally trained. In 2008, he moved to Vrindavan and got association of Aindra Prabhu who nurtured him and gave purpose to his life. Music was always surrounding him since childhood, but he was never able to see the true value until he met Aindra Baba. Under baba’s shade he learnt the lessons of Kirtan, its value, its power and its mercy. Learning from his example Kirtan Premi got understanding of the essence and structure of Nama Sankirtan. 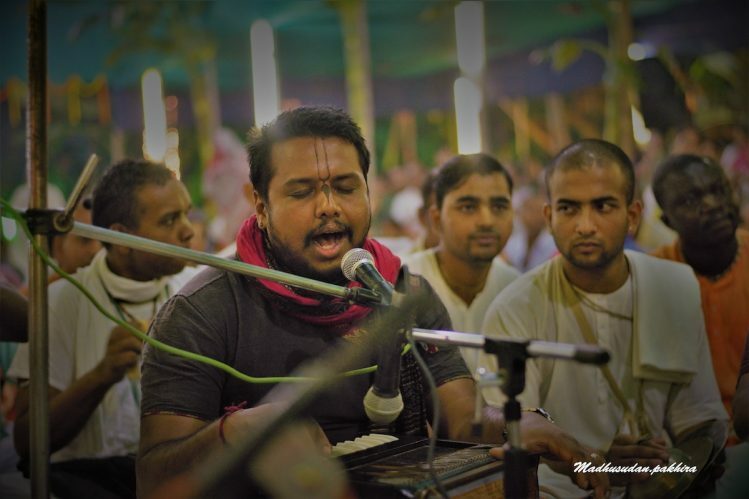 In this episode you will hear him speak about the Kirtan standards established by Aindra Prabhu at Krishna Balaram Mandir in Sri Vrindavan Dhama.